The cocoa tree originates from Central America, where its fruit has been used since 1500 BC. In the wild, a cocoa tree can reach from five to 15 meters, but in plantations it is usually pruned to four meters high. 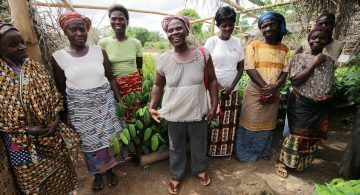 One tree has 20 to 30 pods and each contains 25 to 50 cocoa beans. 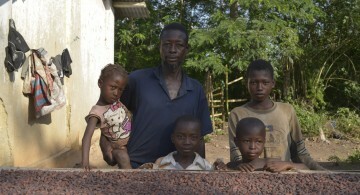 Cote d’Ivoire and Ghana account for 60% of all cocoa produced worldwide. More about cocoa and all you need to know about it. 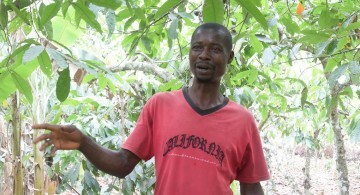 The cocoa sector faces several challenges. 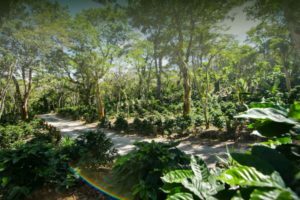 Poor soil fertility management, aging tree stocks, improper use of chemicals and uncontrolled deforestation are threats to the sustainability of cocoa farming. At the same time farmers are faced with poor labor conditions and low income. Consumers are increasingly aware of these situations, and demand products that are grown in a responsible way. Working together with key industry members such as Mars, Nestle and Heinz, UTZ is committed to making a difference for the cocoa sector. Our goal is to create an efficient sustainability program with effective certification and traceability tools for socially and environmentally responsible cocoa production that meets the needs of both producers and markets. More about why sustainable cocoa is good for the environment. 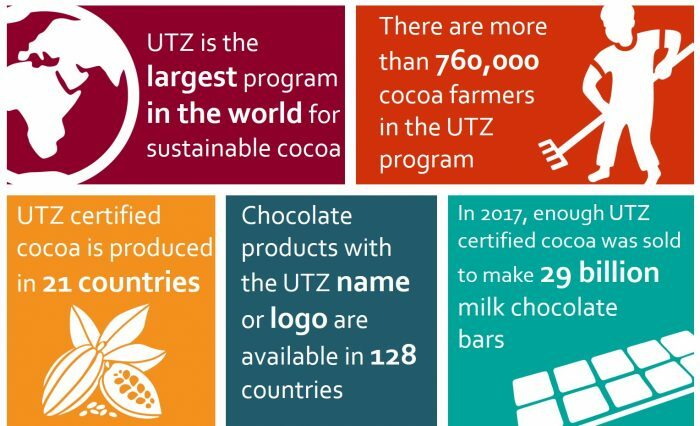 The UTZ cocoa program has already been extremely successful, and it is now our biggest certification scheme. We will continue to build on this by engaging more producers to join us. At the same time, we will continue to work with participating brands to inform consumers about the difference that buying their favorite chocolate makes to farmers. Ultimately, we aim to establish and maintain a trusting relationship between producers, brands and consumers that will strengthen everyone’s commitment and ultimately make sustainable cocoa the norm. More about the strong performance of the cocoa program. UTZ certified cocoa products are available in 108 countries worldwide, and five of the top ten chocolate manufacturers, including Nestlé, Ferrero, Hershey and Mars have committed to buy 100% certified cocoa. Read more about the labels you’ll find on UTZ certified cocoa products. What is changing in UTZ’ mass balance rules for cocoa? 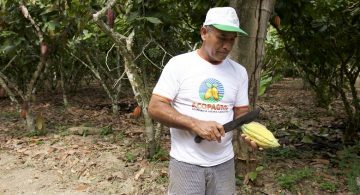 Important certification documents for cocoa farmers and supply chain actors.  In January 2018, UTZ merged with the Rainforest Alliance. What changes and by when?